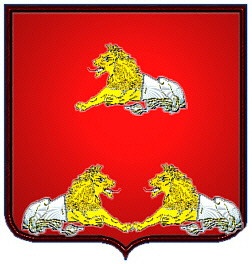 Coat of Arms: Red with three lions, front half gold, back half silver. 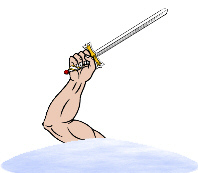 Crest: An arm holding a sword, issuing from a cloud. Motto: Lamh laidir an Uachtar. 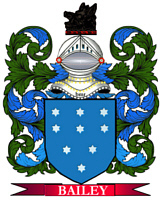 Motto Translated: The strong hand from above.